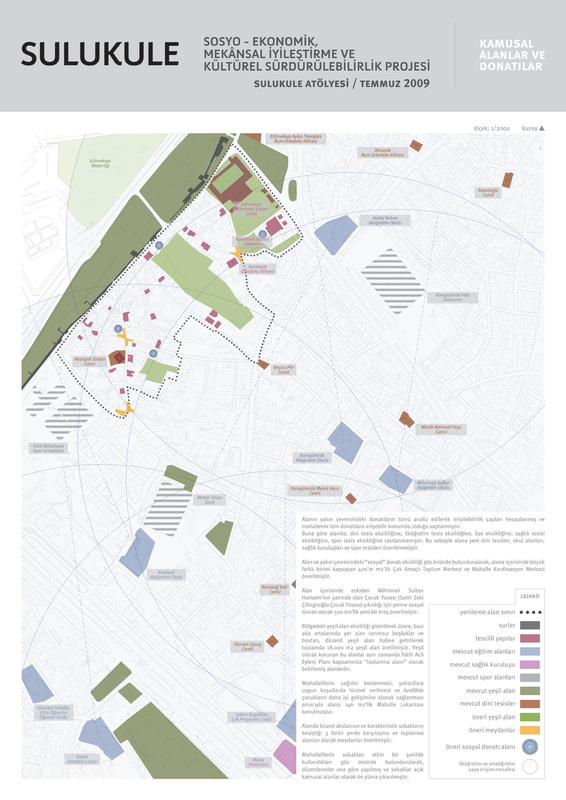 I worked with Sululuke Platform to redesign their alternative urban regeneration plans and maps. My job was to prepare a presentation by analyzing their content and redrawing key maps and figures. Sulukule Platform consists of architects, urban planners, sociologist, archeologists, activists and many people from diverse background. 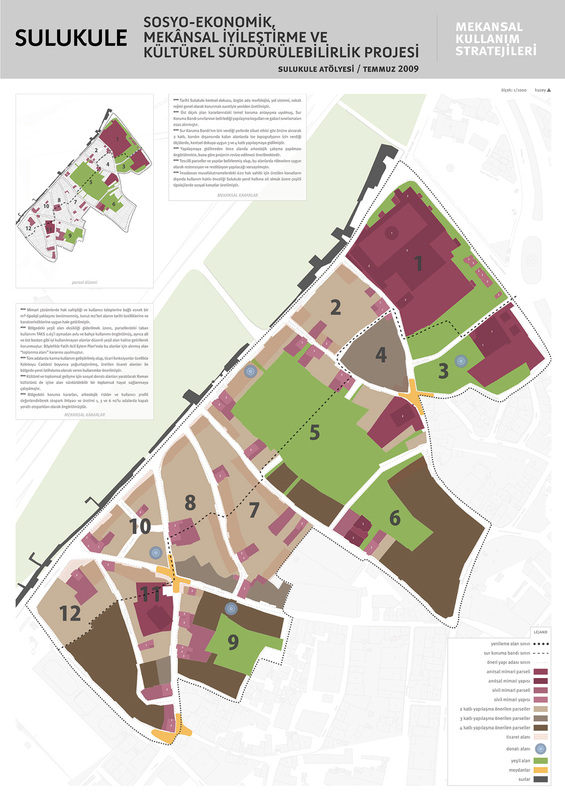 The aim of the platform was to protest unfair and forced eviction plans of the municipality against Sulukule (a neighborhood in Istanbul where Romanian citizen used to live) and to suggest new ways of urban regeneration for the area. 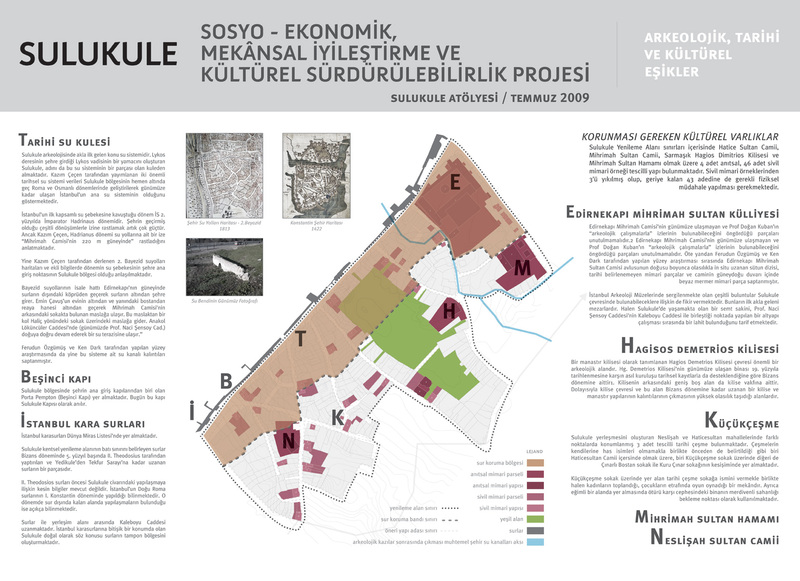 After lots of debate, with the effects of the press and international organizations, the municipality asked Sulukule Platform to prepare alternative plans, accepting that the original ones are not as good for the area’s unique culture and features.